As far as wedding trends go, there are new additions that we see each year. For 2017 and the year that follows, however, there are a lot of items that would stay—but not to say that they are not going to be updated. Rustic garden is still going to dominate the style of weddings this year and in early 2018. However, the almost stripped-down- to-bare- essentials look has becoming obsolete and is ready to give way to a more extravagant take on country style. 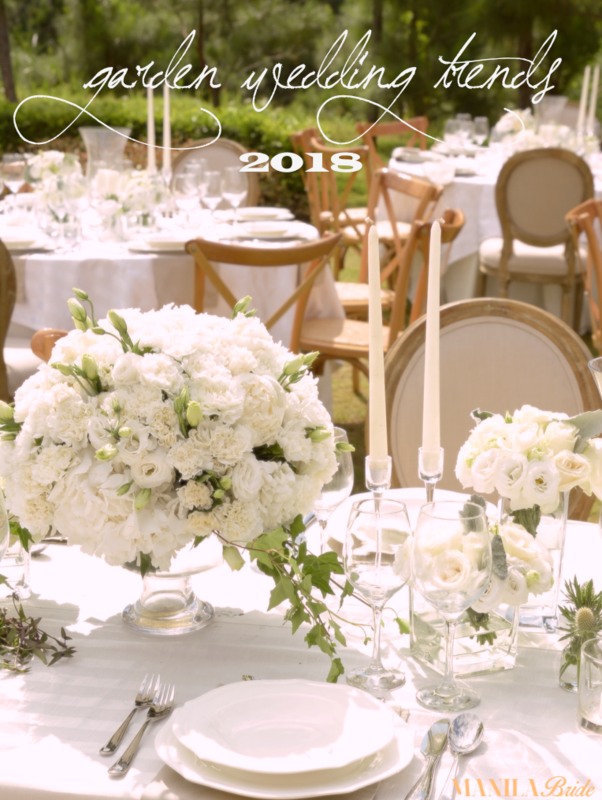 While personal touches are still going to be present to make the celebration unique, the inclusion of ornate items and décor to offset the barn fair appeal and usher a more glamorous feel will definitely become more obvious. Garden weddings venues will be dressed in ostentatious implements to lend a grand feel while retaining the close-to- nature vibe. What better way to keep up with the rustic theme than to use recycled papers for your stationery requirements? Hand-made invitations will more likely become the trend as brides become more in favor of personalizing wedding items. It follows that modern brides are now bolder with their color choices, including the colors for their wedding gowns. The recent years saw blush, light yellow, and baby blue—but 2017 to 2018 will be likely the years for deeper and darker shades of hues. Colored florets, iced coffee, and black and white have been donning the wedding runways of notable designers. Find inspirations for your wedding themes by following us @_manilabride_ on Instagram.